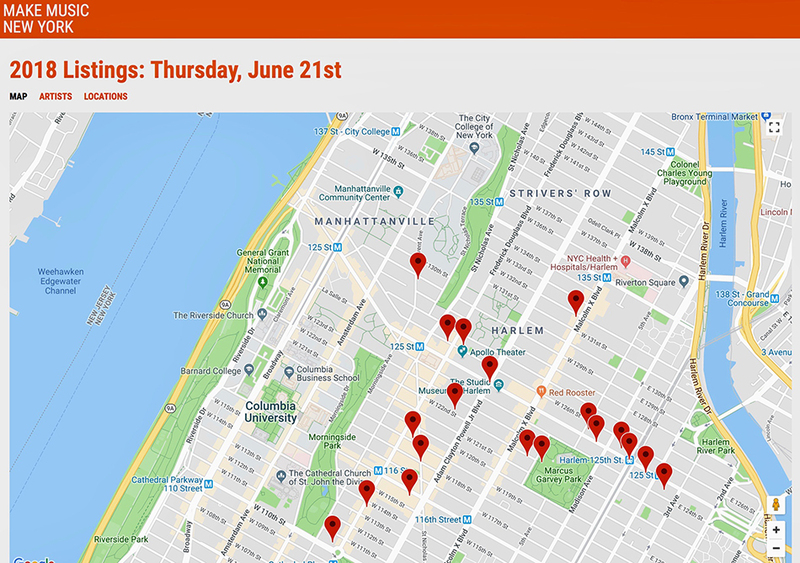 Make Music New York returns to the streets of New York on Thursday, June 21st with a day-long musical celebration of Make Music Day, held in more than 70 U.S. cities and 800 cities worldwide. Check out the entire Harlem Schedule here. Special Events include Harlem World Magazine and Make Music New York join Rhythm and South Radio from Noon to 3pm ~ RSVP and follow Event. Read more and check the map for great music near you!